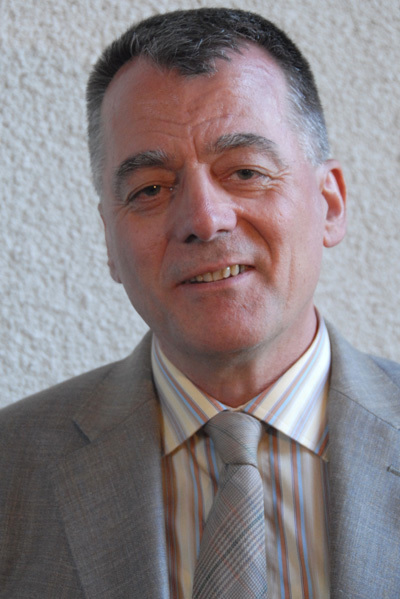 Professor Oktor Skjaervo is the Aga Khan Professor of Iranian Studies at the Department of Near Eastern Languages and Civilization of Harvard University. He is one of the foremost specialists in Old Iranian and Middle Iranian languages, literature, and religions (Zoroastrianism, Manichaeism), in addition to Iranian dialects. A common misconception about the Parthians is that they lacked interest in the development of learning, science and technology. This belief is derived from the paucity of the available evidence, the lack of archaeological studies as well as subjective bias. Technology certainly continued to evolve during Parthian rule. A dramatic discovery of a tomb by German Archaeologist Wilhelm Konig at Khujut Rabu (near modern Baghdad in Iraq) in 1936 found two near intact jars dated to the Parthian dynasty (approx. 250 BC-224 AD) which are possibly the world’s oldest batteries. A Parthian battery. Note the clay jar which featured an iron cylinder surrounded by a cylinder of copper. There have been a number of reconstructions of this ancient device in western laboratories and universities. A schematic representation of the ancient Parthian battery. Nevertheless, not all historians accept Konig’s 1940 report that the items were “batteries”. What is generally agreed upon is that the “batteries” were used to electroplate items by mainly putting one layer of metal upon another (e.g. gold upon silver). This technique is still in evidence in many traditional metalworking shops of Iran today (i.e. Isfahan, Tabriz). Tests by Western scientists have revealed that when the jar of the battery was filled with vinegar (or other electrolytes), it was capable of generating between 1.5-2.0 volts. If the jars were indeed “batteries” in the modern sense, then Count Alassandro Volta’s invention of the modern battery may have been predated by 1,600 years or more. Count Alessandro Volta (1745 – 1827), is often credited with the invetion of the modern battery. His legacy in the domain of physical sciences is seen in the term “Volt” derived from his last name “Volta”. In practice the very concept of the battery may have been invented in ancient Parthian Persia at least 1600 years past. Innovative ideas to help the Iranian community. Dr. Richard N. Frye (http://www.richardfrye.org/). For those who follow our country’s events, these individuals do not need any introduction. However, a brief bio of each will follow to give others a chance to get to know them. The honorees will receive gifts made in Iran to demonstrate our appreciation for their hard work and for their dedication to our community. With their life-time efforts, we have been able to raise awareness in the international press about our rights and our heritage. Please join us in congratulating these Irandoosts (friends of Iran) and in wishing them well for many years to come. Farhang Mehr means the culture of love which reflects his love of our culture and education. Dr. Mehr was born in Tehran. He received his bachelor’s degree from Tehran University in law and engineering. Dr. Mehr received a Master’s degree in economics from the London School of Economics and a doctorate of law from Southampton University. Dr. Mehr was chancellor of Shiraz University for many years prior to becoming the head of the finance department (Modir Kol Vezarateh Darayee), the highest position a Zoroastrian could obtain under the constitution of the former Pahlavi adminstration. Dr. Mehr in fact held various government positions; the highest was deputy prime minister under the adminstration of Mr. Hoveyda. In addition to government positions, he taught at several universities both in Iran and abroad. 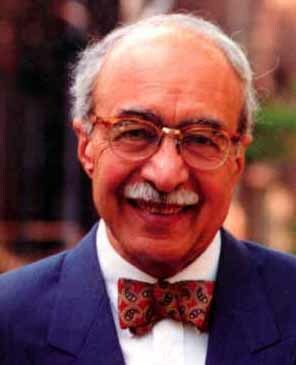 Those who know Dr. Mehr consider him an honest, disciplined, and relentlessly hard-working person. In 1953, Mr. Ali Akbar Dehkhoda gave Professor Frye the title of “Irandoost.” For over six decade, Professor Frye has contributed to Iranology and the history and culture of Iran. His works have set the standard of excellence in Iranian Studies. In his will, Professor Frye has asked to be buried next to the Zayandeh river in Isfahan. This request was approved by the Iranian president in 2007. Mr. Hamid Sedghinejad was born in 1977 in Tehran, Iran. He has a degree in Software Engineering from Azad University – Central branch. Mr. Sedghinejad lives with his family in Tehran. In addition to information technology about which he published a book, he is interested in history and has created a website with over 2,700 pages and over 4,000 pictures (www.iranatlas.info). The Nozhat ol Majales or the “Joy of the Gatherings” is a major document that adds further weight to the history of the Persian legacy in Azarbaijan and the Caucasus. For a Persian language introduction to the Nozhat ol Majales see معرفی نزهه المجالس by Shahrbaraz. This is essentially a compilation of 4,100 quatrains organized in 17 chapters. The book can be downloaded in its textbook form here: Nozhat ol Majales (in pdf). The book was preserved for posterity during the 14th century (circa July 1331) through the efforts of Ismail b. Esfandiyar b. Mohammad b. Esfandiar Abhari. The Nozhat ol-Majales is highly significant as it bears very rare quatrains from Iranian savants such as Ibn Sina (Avicenna) and famous Persian poets such as Fakhreddin Asad Gorgani and Nezami Ganjavi. There are even references to Fariborz III Shirvanshah of the Caucasus and the Seljuq rulers. Of major importance is that the Nozhat ol Majales contains the Persian languiage works of at least 115 poets from Iran’s Azarbaijan province in the northwest of Iran and the eastern portion of the Caucasus. The latter region was historically composed of former Iranian territories such as Shirvan, Arran,Ganja, etc. Ganja for example is represented by 24 Persian poets in the Nozhat ol Majales. Other Persian poets from the Caucasus include Bakhtiar Shirvani and Kamal Maraghi. it is also highly notable that many of the Caucasian poets were women, including Dokhtar-e-Salar and Razziye Ganjai. Unlike many other parts of Greater iran, most of the Caucasian poets originated from the regular working class and not from elite courts. This adds further evidence to the fact that Persian was a common language of the ordinary people in the Caucasus and Azarbaijan before the gradual linguistic Turkification of the region. Persian was not simply a language confined to select elites in the Caucasus and Azarbaijan – this was the popular language of the mainstream populace. Full-fledged linguistic Turkification in the eastern Caucasus and Azarbaijan began from the 16th century AD with the arrival of the Safavids. The latter were supported and joined by large numbers of Shiite Turcomen Qizilbash supporters from Anatolia who migrated into the province of Azarbaijan in Iran. What is significant is that Persian was still in force in the 13th century AD, in both Azarbaijan and the Caucasus, two centuries after the arrival of the Seljuk Turks.